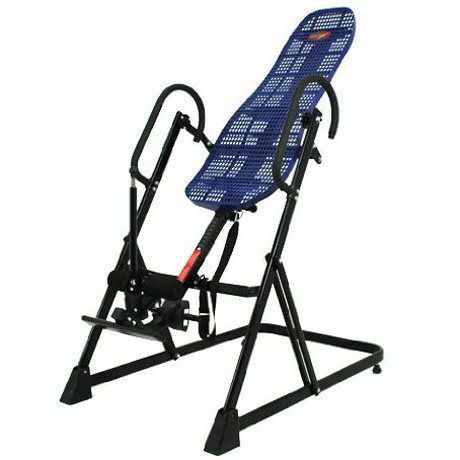 Inversion tables offer several health benefits by suspending the user at an inverted angle, which can be adjusted according to personal preference. It can invert 160 degree with the nylon strap and 180 degree without strap. The use of Inversion Tables has long been a proven therapy for back pain. When inverting, the force of gravity counteracts compressions in the joints, mainly concentrating on the back, neck and hips. Adjustable to users height from 4'10" - 6' 6"